Take on a different style for the night with this brilliant Blonde Flirty Flapper Wig, ideal for 1920s themed fancy dress occasions! Put on your dancing shoes with this fantastic Blonde Flirty Flapper Wig, the perfect accompaniment to any gorgeous 1920s Flapper Dress for a 20s fancy dress theme. The light blonde wig is in a sleek, short design with loose curls and waves running throughout to create a really elegant look. 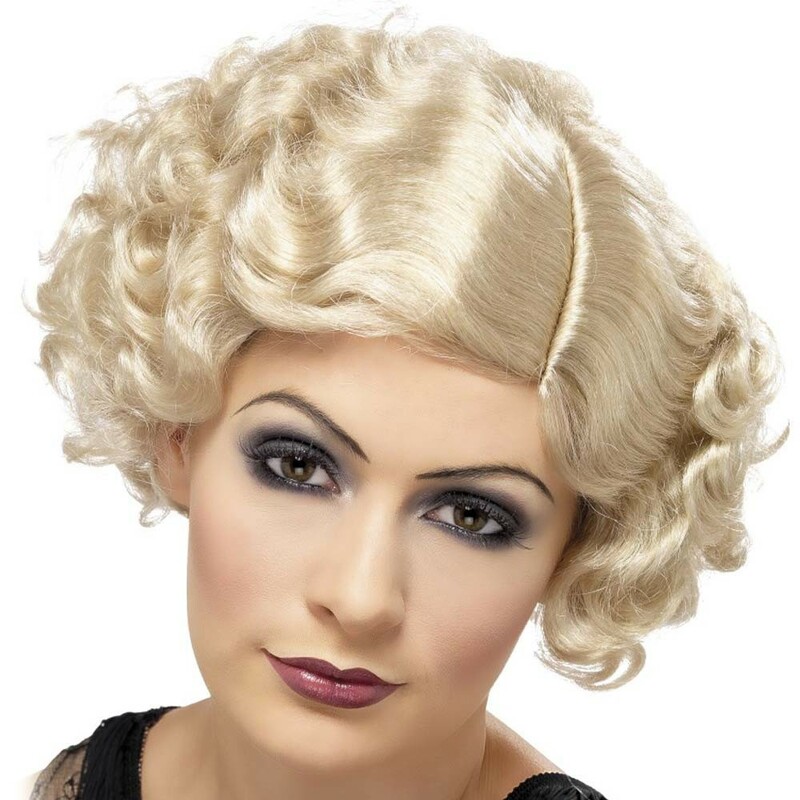 This amazing Blonde Flirty Flapper Wig is ideal for any 1920s, Gatsby or Dancer themed fancy dress costume!